Is based on my city one (Pisa) but I decided to remove some features in order to made it a general model also for every EMS Dispatch Center in Tuscany. My next project is to make a general model for RTW's for every rescue organization in Italy based on Fiat Ducato X290. The post was edited 1 time, last by marcolone95 ( Mar 13th 2019, 1:11am ). Great work. I don't have much to complain. Just The orange could - in my opinion - ne a little stronger. Perhabs you Can add a little more red to it. It looks a but darker in The Video. I think you are right about the orange, so this is new version. I managed also the color of the high-visibility stretch. As I did with Subaru Forester NEF I decided to remove some Logos and modify something (es. Lightbar in the first RTW) from the real veichles to the graphics to make them suit for every EMS sistem in Tuscany and also in Italy. ANPAS, Misericordie and CRI (Italian Red Cross) are 3 mayor rescue organizations in Italy. Theese 3 organizations have a regulamentation of their graphics, so their ambulances are very similar in every part of the country. Thanks to @christophorus15fan for Blanko graphics. RTW - Italian Red Cross - Fiat Ducato X290 - 2016. Photos can be found Here. Video Here. RTW - ANPAS - Fiat Ducato X290 - 2017. Photos can be found Here. NAW - Misericordie - Fiat Ducato X290 - 2017. Photos can be found Here. Video Here. You seem to have manipulated the brightness and/or contrast of the blanco graphic. As a result, the tyres are no longer distinguishable from the background and have "merged" with the background into a large black block. So if you do want to play with those values, it is better to leave out the wheels area. The font on the Red Cross vehicle does not seem to be the correct one. This one should fit better, I think. The writings will look a lot better (i.e. smoother) if you draw them with anti-aliasing activated. This holds true especially for serif fonts like the one on the "Misericordie" vehicle. The blue stripes at the bottom of the ANPAS RTW are missing. Apart from that, great work! I will leave out the wheels area! Blue stripes are missing because there aren't part of the original graphic of ANPAS veichles as you can see Here and Here. Thoose veichles are only 3 general ones, I will make more of them in the next days, also from other parts of the country. The post was edited 2 times, last by marcolone95 ( Dec 7th 2017, 12:27am ). Thanks to @christophorus15fan for Blanko graphics for Renault Master and Fiat Ducato X290. RTW - ANPAS - Busnago Soccorso - Asked by @'gabryzano - Photos can be found Here. 112 logo and AREU logo are changed from few months, so I installed new ones. @'gabryzano' show me some photos. RTW - ANPAS - P.A. Montopoli V.A. - Photos can be found Here, video Here. @Westfale can you help me to find a better "font" for theese 2 veichles? Expecially for the writing "Busnago Soccorso" and "Unità mobile di soccorso". I removed the telephone number for this. RTW - Italian Red Cross - Croce Rossa Italiana - Photos can be found Here. Here and some Here. I removed writings from the original veichle since this is a general veichle. The post was edited 4 times, last by marcolone95: Wrong version of wheels New version of flashing lights ( Dec 28th 2017, 12:57pm ). RTW - Fiat Ducato X290 - Hospital - ARES 118 Lazio - Rome. Here are Photos and Video. RTW - Fiat Ducato X290 - Hospital - 118 Emilia Romagna - Ferrara. Photos here. I decided to remove the callsign "Echo 94" from the bottom of the door in order to be this a general model for Hospital Ambulances in Emilia Romagna. RTW - Fiat Ducato X250 - Italian Red Cross. Photos here. AREU and 112 Logo are changed from few months so I insert new ones. RTW - Fiat Ducato X250 - Privat - Croce Bianca Milano. Photos here. Lightbar by Chr2. RTW - Mercedes-Benz Sprinter - ANPAS - Pubblica Assistenza Santa Croce Sull'Arno. Here are Photos and Videos. Lightbar by Chr2. I removed the searchlight on the lightbar of the original veichle. RTW - Mercedes-Benz Sprinter - Misericordie. Photos here. I decided to remove the writing with the section name "misericordia camporgiano" to be this a general model. NAW - Mercedes-Benz Sprinter - Italian Red Cross. Photos here. Also here the name of the town "Lecco" is removed to be this a general model. RTW - Volkswagen Transporter T5 - Hospital - Azienda Regionale Emergenza Urgenza - Lombardy. Photos here. RTW - Volkswagen Transporter T5 - Italian Red Cross. Photos here. Also in this one I removed name of the town and radio callsign to be this a general model. RTW - Volkswagen Transporter T6 - Misericordie. Photos here. Lightbar by Chr2. RTW - Volkswagen Transporter T6 - ANPAS - Pubblica Assistenza L'Avvenire Prato. Photos here. I realized many other Italian rescue veichles. Some of them are coming from other organizations, however some of them are coming from sections of the 3 mayor ones that don't follow graphics rules. I think is a big update: I realized 2 new version of NEF on Subaru Forester, 13 RTW on Fiat Ducato, Renault Master, and 1 GW-SAN on Citroen Jumper. The post was edited 2 times, last by marcolone95: New Image Hosting ( May 15th 2018, 2:39pm ). I would like to use them for new italian veichles. The post was edited 4 times, last by gabryzano ( Jul 10th 2018, 6:32pm ). The post was edited 2 times, last by marcolone95 ( Nov 23rd 2018, 12:36am ). May I have the blanco of the Seat Altea and the Ford Focus? Hi, I already planned for the next months some to do some graphics. If I have enough time I may realize also some skins you have requested, but since I'm going to be busy, I can't be sure about that at the moment. I noticed the Rega version of the EC145T2 by @christophorus15fan so I updated with accessories the skin I realized for RTH I-LMBD (Elisoccorso Bergamo). 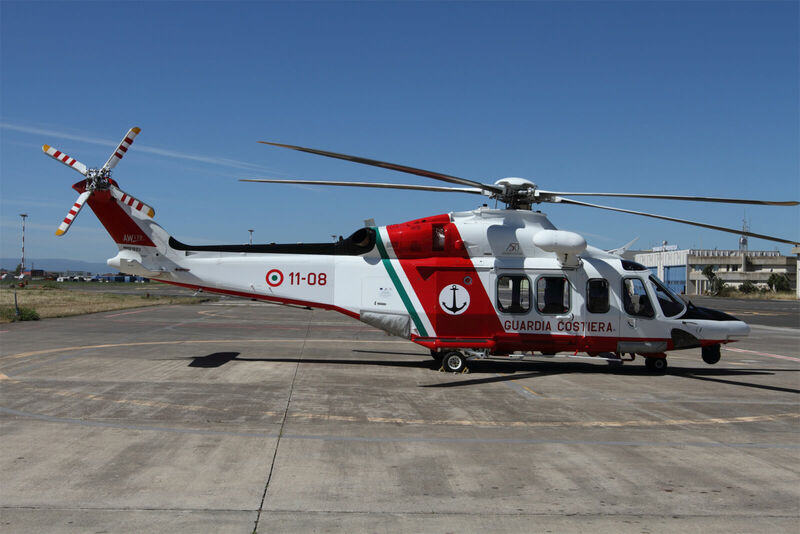 I realized also a second version of the same helicopter for the Tuscany based on I-HFRT. The post was edited 4 times, last by marcolone95 ( Dec 28th 2018, 1:56am ). Even if I haven't yet did and uploaded SVG-files about previous graphics these days I realized another one in cooperation with @bazz.tribals, another italian member. The post was edited 1 time, last by marcolone95 ( Jan 7th 2019, 7:04pm ). I just finished another major update about italian graphics: I realized 14 new of them and I updated 3 previous ones. - AB412 & EC145 - Blanko made by Bass D.
I will post the helicopters above in reduced scale because the model is more than 16m long. If someone wants the "blanko" version please PM me. @Bass D. if you are interested I already did also a version without winch for North American HEMS. The post was edited 4 times, last by marcolone95 ( Feb 23rd 2019, 6:57pm ).